Last week I was privileged to travel to the cities of Munich, Salzburg, and Vienna as part of a 7-day long trip to Bavaria and Austria. I returned on the eve of the Feast of the Annunciation. 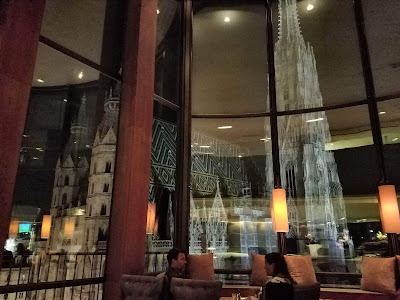 Now, after taking a few days to settle back in, I would like to share some of the scenes from my trip. I am happy to present this Catholic Virtual Tour of Munich, Salzburg, and Vienna. 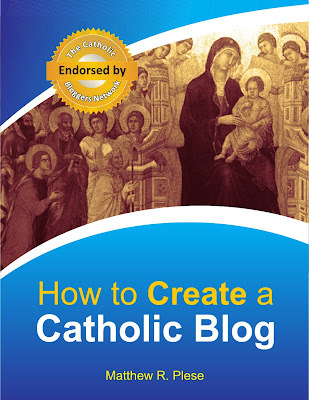 Note: All photos are copyright (c) 2017 by A Catholic Life Blog and may not be used without prior permission and without attribution. 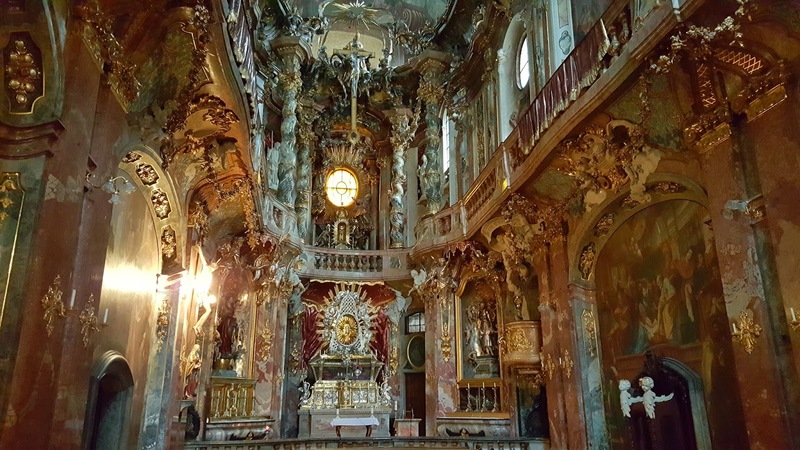 These images are from the beautiful church of St. Michael in the heart of Munich. Just steps away from St. Anna and several other churches, I found this to be one of the most beautiful churches I encountered on my trip. And no trip to Munich would be complete with a visit to St. Peter's Church. 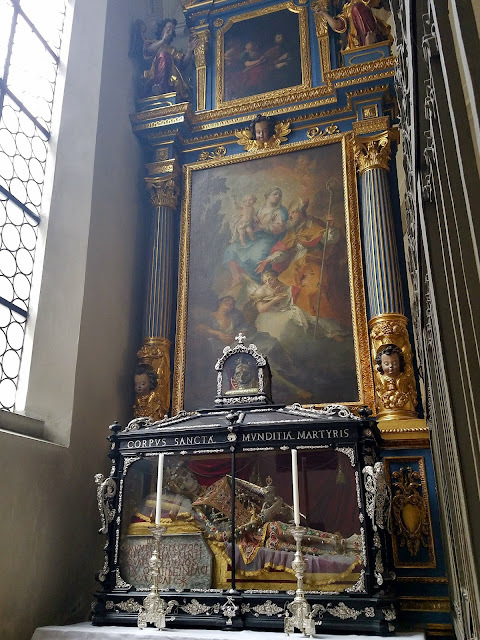 The Church preserves the body of St. Munditia on a side altar (pictured above). 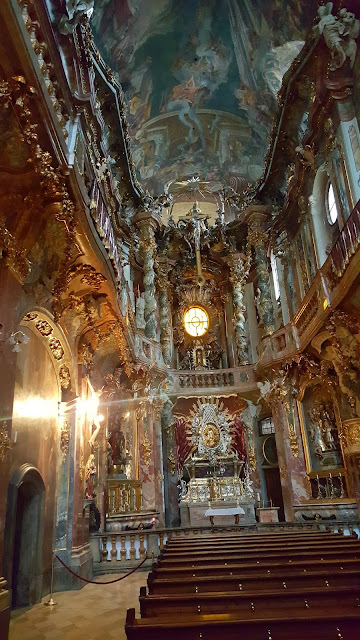 Also, above is a stunning image of Our Lady of Sorrows in the Church. 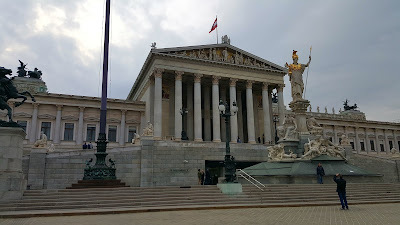 After a day and one night in Vienna, I traveled back westward toward Munich but stopped for a few hours in Salzburg. 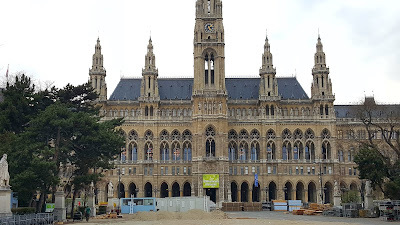 There I visited the home of Mozart (both his birthplace home as well as the place where he lived). I also spent time in the Salzburg Cathedral, its museums, and the beautiful Church of St. Peter, which includes outside its famous cemetery. All in all, it was an awe-inspiring trip and one that I will remember. I prayed for all of my benefactors intentions. So thank you to everyone who was kind enough to donate to help me in the sidebar of this blog. You can still donate and I will remember your intentions in prayer as I travel to Spain this June. Be sure to follow me on Instagram for more! “Most Holy Trinity, Father, Son and Holy Ghost, I adore Thee profoundly. 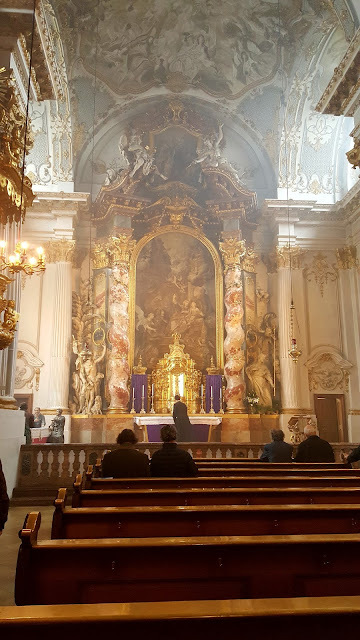 I offer Thee the most precious Body, Blood, Soul and Divinity of Jesus Christ, present in all the tabernacles of the world, in reparation for the outrages, sacrileges and indifference by which He is offended. And through the infinite merits of His most Sacred Heart, and of the Immaculate Heart of Mary, I beg the conversion of poor sinners...Take and drink the Body and Blood of Jesus Christ, horribly outraged by ungrateful men. Repair their crimes and console your God”. 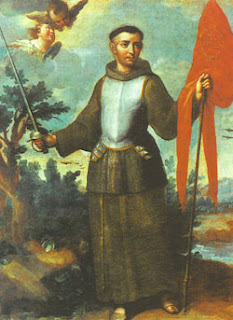 Today is the Feast of St. John of Capistrano. On feastdays in Lent, more usually the Mass of the Lenten feria is said with only a commemoration of the feast - unlike the other seasons in the Church's liturgical year. St. John of Capistrano was a Franciscan Friar and priest from Italy who was famous as a preacher, theologian, and inquisitor. St. John famously led a crusade against the Ottomons at the Siege of Belgrade. 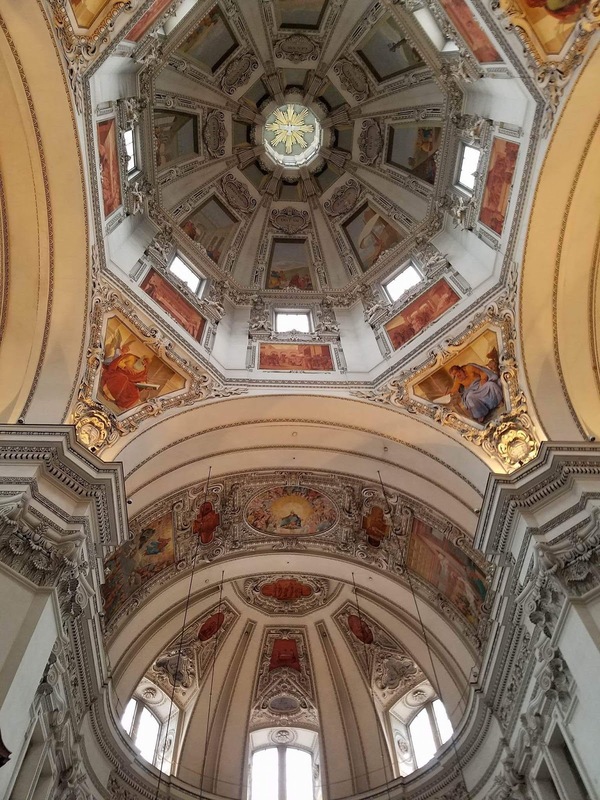 St. John was born in 1386 at Capistrano in the kingdom of Naples. He became a famous lawyer and then was appointed governor of Perugia. At the age of 34 he entered the Franciscan Order. John Capistran was the friend of four Popes: he reformed his order, and he evangelized Italy, France, Germany, Austria, Hungary, and Poland. At the close of his life, John led a crusade against the Turks and was a chief organizer of the glorious Christian victory at Belgrade in 1456. O God, blessed John manifested the power of the most holy name of Jesus when he led the faithful in triumph over the enemies of the Cross. May we overcome the deceits of our spiritual enemies and receive the crown of justice from You through the intercession of this saint. Through the same Jesus Christ, our Lord . . . 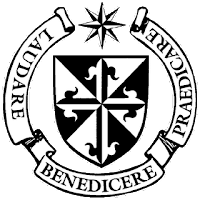 Continuing my articles on the Masters of the Dominican Order, we now arrive at the 11th Dominican Master: Bernard de Jusix. For a quick recap on the previous Masters of the Order, please click here. Bernard de Jusix governed the Order for only a few short years from 1301 to 1303. In fact, little is known on Bernard de Jusix of certainty. A quick internet search reveals little on his life. In "The Dominicans" by Benedict M. Ashley, he writes of this era: "In these complex times Dominican community life suffered one of its sharpest declines in the Order's whole history. Although by 1303 it had reached 20,000 friars, the Black Death carried away a third and perhaps a half." Furthermore, he writes, "For the first half of the century the General Chapters were hampered by the rapid turn-over of Masters. Albert Chiavari (1300) died after three months. Bernard de Jusix in two years..."
Yet by the grace of God the Order of Friar Preachers spread and continues to serve the True Faith. 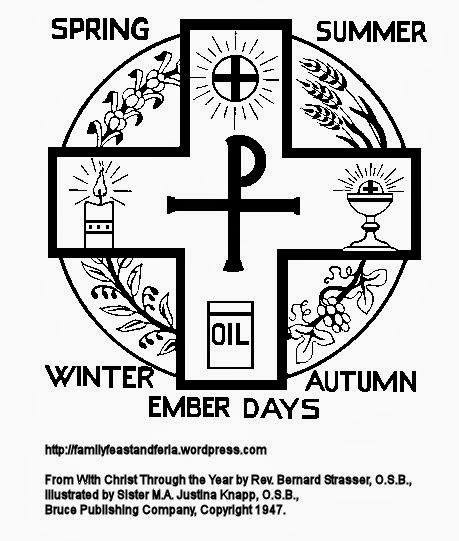 Let us pray for the repose of the soul of Bernard de Jusix and all Dominicans. Today is the Feast of St. John Damascene. 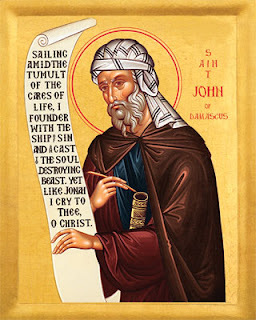 Also known as St. John of Damascus, St. John Damascene was a Syrian monk and priest who died in Mar Saba, near Jerusalem. On feastdays in Lent, more usually the Mass of the Lenten feria is said with only a commemoration of the feast - unlike the other seasons in the Church's liturgical year. St. John Damascene - also known as St. John of Damascus - was born in 645 AD and lived until 749 AD. The Roman Martyrology on this date proclaims: "St. John Damascene, priest, confessor, and doctor of the Church, whose birthday is commemorated on the 6th of May." ST JOHN OF DAMASCUS, the last of the Greek fathers and the first of the long line of Christian Aristotelians, was also one of the two greatest poets of the Eastern church, the other being St Romanus the Melodist. The whole of the life of St John was spent under the government of a Mohammedan khalif, and it exhibits the strange spectacle of a Christian father of the Church protected from a Christian emperor, whose heresy he was able to attack with impunity because he lived under Moslem rule. He and St Theodore Studites were the principal and the ablest defenders of the cultus of sacred images in the bitterest period of the Iconoclastic controversy. As a theological and philosophical writer he made no attempt at originality, for his work was rather to compile and arrange what his predecessors had written. 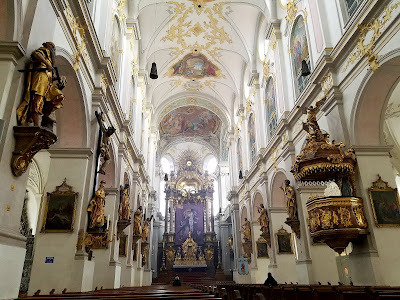 Still, in theological questions he remains the ultimate court of appeal among the Greeks, and his treatise Of the Orthodox Faith is still to the Eastern schools what the Summa of St Thomas Aquinas became to the West. The Moslem rulers of Damascus, where St John was born, were not unjust to their Christian subjects, although they required them to pay a poll tax and to submit to other humiliating conditions. They allowed both Christians and Jews to occupy important posts, and in many cases to acquire great fortunes. The khalif J s doctor was nearly always a Jew, whilst Christians were employed as scribes, administrators and architects. Amongst the officials at his court in 675 was a Christian called John, who held the post of chief of the revenue department — an office which seems to have become hereditary in his family. He was the father of our saint, and the surname of al-Mansur which the Arabs gave him was afterwards transferred to the son. The younger John was born about the year 690 and was baptized in infancy. With regard to his early education, if we may credit his biographer, " His father took care to teach him, not how to ride a horse, not how to wield a spear, not to hunt wild beasts and change his natural kindness into brutal cruelty, as happens to many. John, his father, a second Chiron, did not teach him all this, but he sought a tutor learned in all science, skilful in every form of knowledge, who would produce good words from his heart ; and he handed over his son to him to be nourished with this kind of food ". Afterwards he was able to provide another teacher, a monk called Cosmas, " beautiful in appearance and still more beautiful in soul ", whom the Arabs had brought back from Sicily amongst other captives. 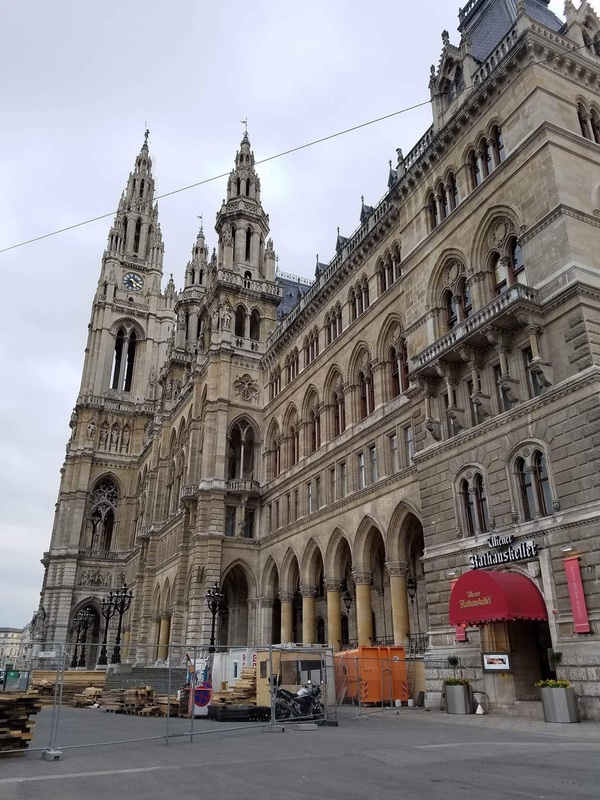 John the elder had to pay a great price for him, and well he might for, if we are to believe our chronicler, " he knew grammar and logic, as much arithmetic as Pythagoras and as much geometry as Euclid ". He taught all the sciences, but especially theology, to the younger John and also to a boy whom the elder John seems to have adopted, who also was called Cosmas, and who became a poet and a singer, sub- sequently accompanying his adopted brother to the monastery in which they both became monks. In spite of his theological training St John does not seem at first to have con- templated any career except that of his father, to whose office he succeeded. Even at court he was able freely to live a Christian life, and he became remarkable there for his virtues and especially for his humility. Nevertheless, after filling his responsible post for some years, St John resigned office, and went to be a monk in the laura of St Sabas (Mar Saba) near Jerusalem. It is still a moot point whether his earlier works against the iconoclasts were written while he was still at Damascus, but the best authorities since the days of the Dominican Le Quien, who edited his works in 17 12, incline to the opinion that he had become a monk before the outbreak of the persecution, and that all three treatises were composed at St Sabas. In any case John and Cosmas settled down amongst the brethren and occupied their spare time in writing books and composing hymns. It might have been thought that the other monks would appreciate the presence amongst them of so doughty a champion of the faith as John, but this was far from being the case. They said the new-comers were introducing disturbing elements. It was bad enough to write books, but it was even worse to compose and sing hymns, and the brethren were scandalized. The climax came when, at the request of a monk whose brother had died, John wrote a hymn on death and sang it to a sweet tune of his own composition. His master, an old monk whose cell he shared, rounded upon him in fury and ejected him from the cell. " Is this the way you forget your vows ? " he exclaimed. "In- stead of mourning and weeping, you sit in joy and delight yourself by singing." He would only permit him to return at the end of several days, on condition that he should go round the laura and clear up all the filth with his own hands. St John obeyed unquestioningly, but in the visions of the night our Lady appeared to the old monk and told him to allow his disciple to write as many books and as much poetry as he liked. From that time onwards St John was able to devote his time to study and to his literary work. The legend adds that he was sometimes sent, perhaps for the good of his soul, to sell baskets in the streets of Damascus where he had once occupied so high a post. It must, however, be confessed that these details, written by his biographer more than a century after the saint's death, are of very questionable authority. If the monks at St Sabas did not value the two friends, there were others outside who did. The patriarch of Jerusalem, John V, knew them well by reputation and wished to have them amongst his clergy. First he took Cosmas and made him bishop of Majuma, and afterwards he ordained John priest and brought him to Jerusalem. St Cosmas, we are told, ruled his flock admirably until his death, but St John soon returned to his monastery. He revised his writings carefully, " and wherever they flourished with blossoms of rhetoric, or seemed superfluous in style, he prudently reduced them to a sterner gravity, lest they should have any display of levity or want of dignity ". His works in defence of eikons had become known and read everywhere, and had earned him the hatred of the persecuting emperors. Almighty and Eternal God, You endowed blessed John with divine learning and wondrous fortitude of soul in order that he might defend the veneration of sacred images. May the example and prayers of blessed John help us to imitate the virtues and enjoy the protection of the saints whose images we venerate. Through our Lord . . .
Today is the Feast of St. Gabriel the Archangel. On feastdays in Lent, more usually the Mass of the Lenten feria is said with only a commemoration of the feast - unlike the other seasons in the Church's liturgical year. 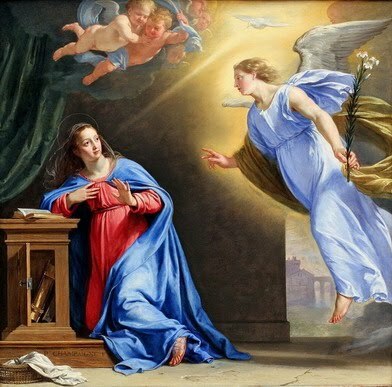 Today is also the day before the Annunciation - which commemorates the announcement to Mary that she would conceive and give birth to the Lord. March 25th is the most important day in human history 3 times over! BY a decree of the Congregation of Sacred Rites dated October 26, 1921, issued by command of Pope Benedict XV, it was directed that the feast of St Gabriel the Archangel should be kept in future as a greater double on March 24 throughout the Western church. As the question of the liturgical celebration of festivals in honour of the great archangels will be more naturally treated in connection with the older feast of St Michael on September 29, it will be sufficient here to point out that according to Daniel (ix 21) it was Gabriel who announced to the prophet the time of the coming of the Messiah, that it was he again who appeared to Zachary " standing on the right side of the altar of incense " (Luke i 10 and 19) to make known the future birth of the Precursor, and finally that it was he who as God's ambassador was sent to Mary at Nazareth (Luke i 26) to proclaim the mystery of the Incarnation. It was therefore very appropriate that Gabriel should be honoured on this day which immediately precedes the feast of the Annunciation of the Blessed Virgin. There is abundant archaeological evidence that the cultus of St Gabriel is in no sense a novelty. preserves the remains of a fresco in which the prominence given to the figure of the archangel, his name being written underneath, strongly suggests that he was at one time honoured in that chapel as principal patron. 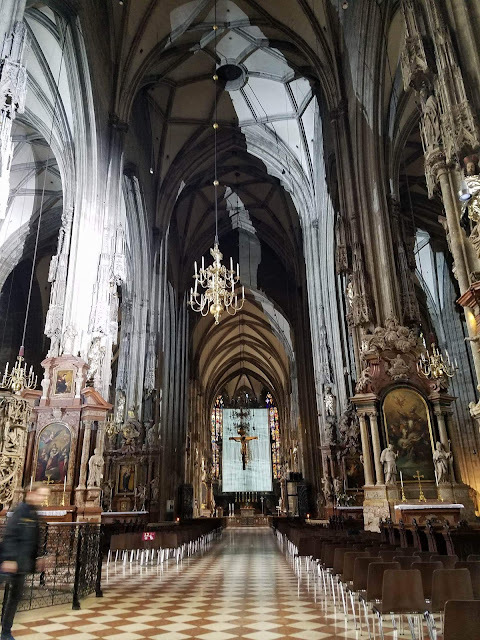 There are also many representations of Gabriel in the early Christian art both of East and West which make it plain that his connection with the sublime mystery of the Incarnation was remembered by the faithful in ages long anterior to the devotional revival of the thirteenth century. This messenger is the appropriate patron-saint of postal, telegraph and telephone workers. See the Acta Apostolicae Sedis, vol. xiii (1921), and the note to Michael the Archangel on September 29. O God, from among all the angels You chose the archangel Gabriel as the messenger of the mystery of Your Incarnation. May his intercession in heaven help us as we celebrate his feast on earth; who lives and rules with God the Father, in the unity of the Holy Spirit, one God forever and ever. 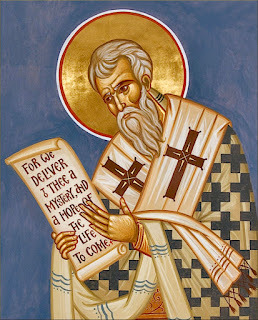 Today is the Feast of St. Cyril of Jerusalem, a Doctor of the Church. On feastdays in Lent, more usually the Mass of the Lenten feria is said with only a commemoration of the feast - unlike the other seasons in the Church's liturgical year. St. Cyril of Jerusalem was born in 313 AD around the same time that Christianity was finally legalized in the Roman Empire. The holy saint would in 349 AD be ordained the bishop of the holy city of Jerusalem, yet he would not be free from sufferings even in the era of the legalization of Christianity. On three occasions St. Cyril was banished from Jerusalem by various bishops and emperors who espoused the Arian heresy. In May of 381, Theodosius called the second ecumenical council at Constantinople to resolve theological disputes. Since Theodosius was the Emperor of the East at this time (he did not become the Emperor of the entire Roman Empire until 392) only the Eastern Bishops were invited. The Council met in the church of Hagia Irene (Holy Peace). Although only 150 Bishops attended, several have become recognized as saints – Gregory of Nazianzus, Meletius of Antioch, Gregory of Nyssa, Peter of Sebaste, Pelagius of Laodicea, Eulogius of Edessa, Amphilochius of Iconium and Cyril of Jerusalem - just to name a few. The most important contribution from this Council was the expansion of the Nicene Creed. The new Nicene – Constantinopolitan Creed described the incarnation, suffering and death of Jesus and the Holy Spirit. 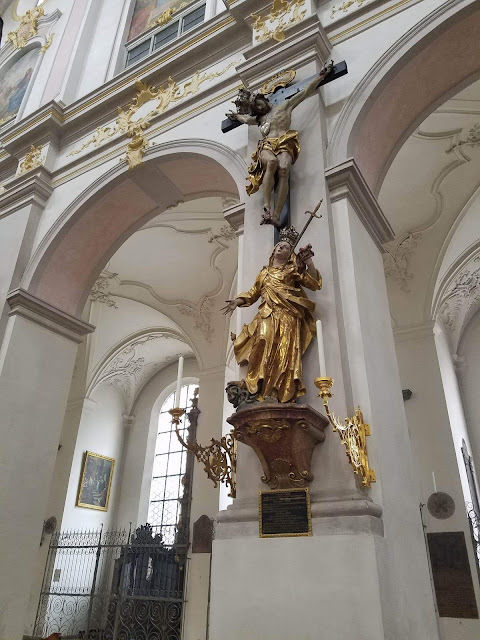 Saint Cyril of Jerusalem is one of the most important sources we have for how the church celebrated the liturgy and sacraments during the first few decades after the legalization of Christianity. 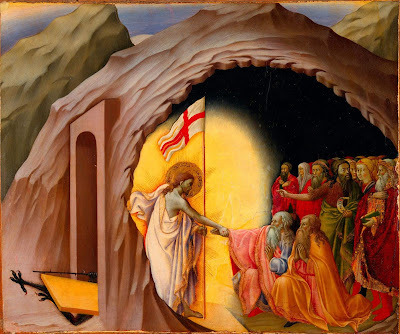 In his famous 24 lectures commonly known as the Jerusalem Catecheses, Saint Cyril instructs new Christians in the days immediately before and after their initiation into the life of the Church at the Easter Vigil. 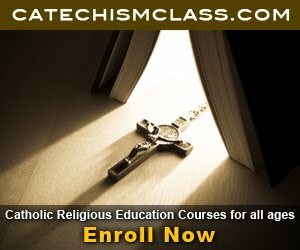 In these catechetical instructions, which are the only documents that survive by St. Cyril, we find very strong insistence on the value and efficacy of the sacrament of baptism as well as heavy emphasis on the real presence of Christ’s body and blood in the sacrament of the Eucharist. You may read his 24 lectures online for free. Click here for Part 1 and click here for Part 2. O Almighty God, may the prayers of Your blessed bishop Cyril help us to know You, the one true God, and Jesus Christ whom You have sent, so that we may be numbered among the flock that obeys His voice. Through the same Jesus Christ . . .
How Did Jesus Pay the Debt for All Sins? He is the propitiation for our sins, and not for ours only but also for those of the whole world.--I John ii. 2. Satisfaction for offences committed is truly made when there is offered to the person offended a thing which he loves as much as, or more than, he hates the offences committed. Christ, however, by suffering out of love and out of obedience, offered to God something greater by far than the satisfaction called for by all the sins of all mankind, and this for three reasons. In the first place, there was the greatness of the love which moved Him to suffer. Then there was the worth of the life which He laid down in satisfaction, the life of God and man. Finally, on account of the way in which His Passion involved every part of His being, and of the greatness of the suffering he undertook. So it is that the Passion of Christ was not merely sufficient but superabundant as a satisfaction for men's sins. It would seem indeed to be the case that satisfaction should be made by the person who committed the offence. But head and members are as it were one mystical person, and therefore the satisfaction made by Christ avails all the faithful as they are the members of Christ. One man can always make satisfaction for another, so long as the two are one in charity. 2. Although Christ, by His death, made sufficient satisfaction for original sin, it is not unfitting that the penal consequences of original sin should still remain even in those who are made sharers in Christ's redemption. This has been done fittingly and usefully, so that the penalties remain even though the guilt has been removed. (i) It has been done so that there might be conformity between the faithful and Christ, as there is conformity between members and head. Just as Christ first of all suffered many pains and came in this way to His glory, so it is only right that His faithful should also first be subjected to sufferings and thence enter into immortality, themselves bearing as it were the livery of the Passion of Christ so as to enjoy a glory somewhat like to His. 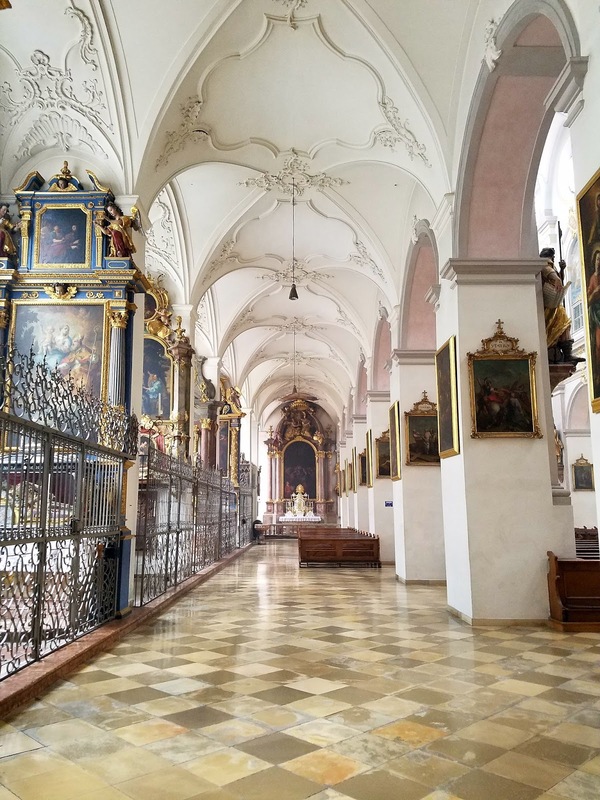 (ii) A second reason is that if men coming to Christ were straightway freed from suffering and the necessity of death, only too many would come to Him attracted rather by these temporal advantages than by spiritual things. And this would be altogether contrary to the intention of Christ, who came into this world that He might convert men from a love of temporal advantages and win them to spiritual things. (iii) Finally, if those who came to Christ were straightway rendered immortal and impassible, this would in a kind of way compel men to receive the faith of Christ, and so the merit of believing would be lessened. Continuing my articles on the Masters of the Dominican Order, we now arrive at the 10th Dominican Master: Albertus de Chiavari. Albertus governed the Dominican Order after Nicola Boccasini (Pope Benedict XI), left the role when he was elected as the Supreme Pontiff. Albertus de Chiavari governed the Order only for less than one year. 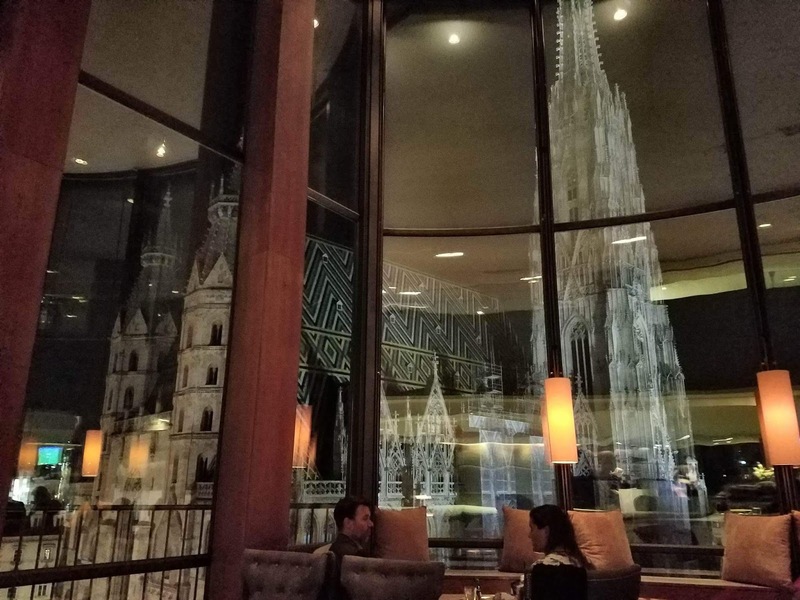 In fact, little is known on Albertus of certainty. A quick internet search reveals nothing on his life. Let us pray for this "forgotten" Dominican and all those in the past ages who have no one to pray for them now. Today is the Feast of St. Gregory I (i.e. St. Gregory the Great) who ruled the Church as Pope from September 3, 590 AD until his death on March 12, 604 AD. On feastdays in Lent, more usually the Mass of the Lenten feria is said with only a commemoration of the feast - unlike the other seasons in the Church's liturgical year. 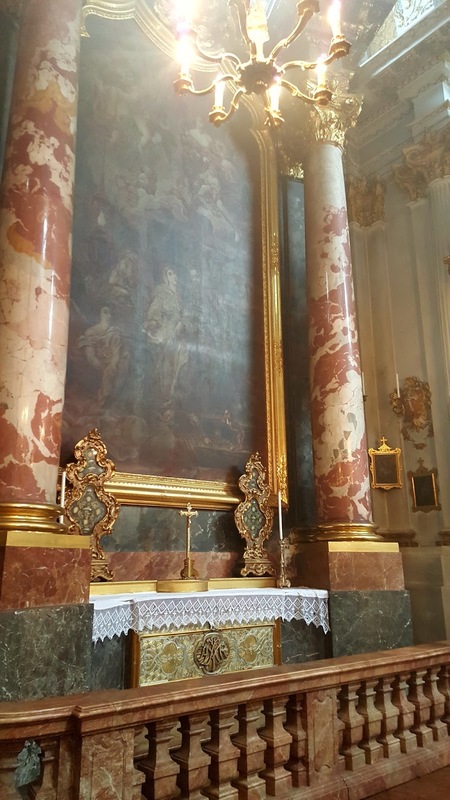 Also at Rome, the raising to the Sovereign Pontificate of St. Gregory the Great. This incomparable man, being forced to take that burden upon himself, sent forth from the exalted throne brighter rays of sanctity upon the world. Gregory's family was very wealthy and owned estates on the island of Sicily which provided income. When Gregory was just two years old in 542, the Plague of Justinian swept through the region. This plague was caused by a now-extinct strain of Yersinia Pestis, more commonly known as the Black Death. The plague was the most severe outbreak of deadly disease the world had ever known and remained the worst such incident until the Black Death in the 14th century. About a third of the population in Italy was wiped out by the disease. In addition to disease, the barbarian Ostrogoths sacked Rome in 546. The Franks attempted an invasion in 554. Both of these incursions were short lived. It is unclear how these massive events impacted Gregory's development as a child, but it is thought his family retreated to Sicily during part of that time. Peace followed in Italy after these upheavals. Gregory was well educated and excelled in all his studies. He also became an expert in law. He excelled so much he became the Prefect of Rome, just as his father had been. Gregory was only 33 years old. As a monk, Gregory was hard and strict. When a monk on his deathbed confessed to stealing three pieces of gold, Gregory ordered he be left to die alone. After the poor monk had died, Gregory ordered his body thrown on a dung heap along with the three coins. Then, in a turn of heart, Gregory offered 30 Masses for the deceased monk. Pope Pelagius II, who reigned from 579 to 590, chose Gregory to serve as an ambassador to the imperial court in Constantinople. In 590, Pope Pelagius II died, and Gregory was proclaimed pope by acclamation. This was not something Gregory wanted, but he accepted the burden nevertheless. Gregory made clear he preferred the monastic life in a series of writings praising it. He also referred to himself as a servant of God. The habit remains in practice to this day and many clergy still refer to themselves as servants. Pope Gregory was famous for the emphasis he put on missionary work. He sent many people out to bring many to Jesus and into the Church. Anglo-Saxon Britain was, at that time, still on the frontier of Christendom. It was Pope Gregory who dispatched St. Augustine (of Canterbury) to Kent in 597 (not to be confused with St. Augustine of Hippo). Pope Gregory made many changes to the Mass, some of which remain today, The position of the Our Father in the Mass remains where Pope Gregory placed it. He emphasized the aspect of service to the poor for deacons. The number of deacons was increasing in number and they were seen as less essential as extensions of the Bishop than they were in the early Church. Deacons were often tasked with giving alms to the poor, and at least one was assigned to each church and ordained for this purpose. 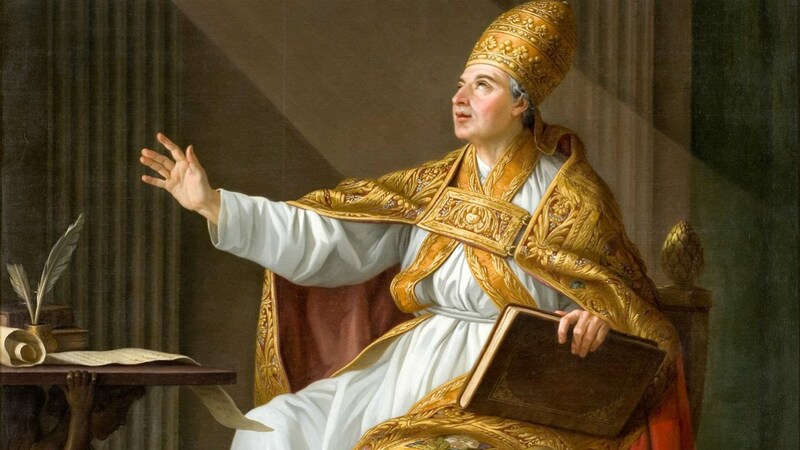 Pope Gregory may have also established "cantus planus," known in English as plainchant. Most today know this style of singing as Gregorian Chant. 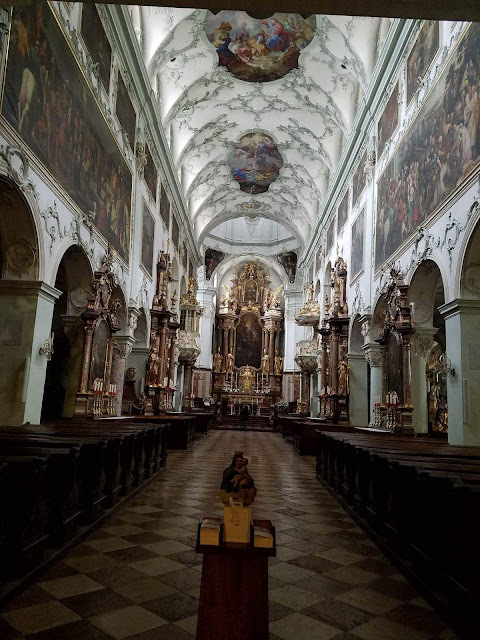 The melodious, monophonic music is known throughout the Church and closely associated with medieval monasteries. Gregorian chant gives us the oldest music we still have in the original form, some dating to the centuries just after the death of Gregory. It remains a matter of some dispute just how involved Pope Gregory was in the development of the style. Some music historians argue the credit is a misattribution that rightly belongs to his less famous successor of a century later, Gregory II. Pope Gregory was well known for his alms to the poor, and he gave quite generously of the riches donated to the Church by the wealthy people of Rome. Everything from money to land was given to the poor in some fashion. He made clear to his subordinates that their duty was to relieve the distress faced by the poor. He ordered his clergy to go out into the streets to find and care for the poor in person. Any clergy who were unwilling to go into the streets and help the poor were replaced. Assets of the Church were liquidated to provide income for alms. Clergy doing this work were paid four times a year and given a gold coin as a sort of bonus. When a famine struck Rome in the 590s, Pope Gregory ordered the Church to use its assets to feed the poor. At that time, the Church controlled nearly two thousand square miles of land, overseen by the clergy and used to generate income. Now, instead of selling the produce of the land, Pope Gregory ordered it shipped to Rome and given away for free. In this way, he saved thousands of people from certain death. Pope Gregory himself refused to eat until his monks returned from their work of handing out food. He also made certain to dine with a dozen poor people at each meal. Gregory is widely considered the be the first medieval pope, and he was a prolific writer. Because of his great respect for the poor, it was Pope Gregory and the Church that became the most respected --and obeyed force in Rome and across Italy. From the time of Gregory onwards, the people looked to the Church for government rather than the distant and indifferent emperors in Constantinople. Pope Gregory suffered from arthritis in his last years. He died on March 12, 604 AD. 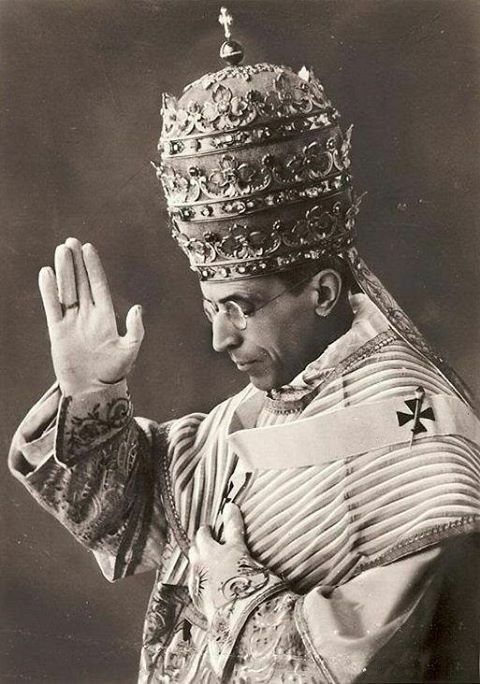 He was immediately proclaimed a saint by means of popular acclaim. Saint Gregory's relics remain in St. Peter's Basilica to this day. O God, You rewarded the soul of Your servant Gregory with eternal happiness. 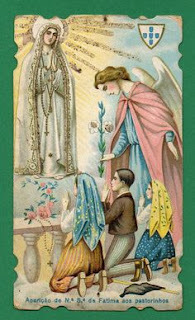 Mercifully relieve us from the oppressive weight of our sins through the intercession of this saint. Through Our Lord . . . 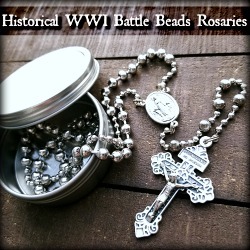 I recently came across the website SacredMetals.com which offers a a number of beautiful medals, crosses, Rosaries, Rings, and more. While I have not used them personally, I have been very impressed with their selection and the apparent quality. They are currently offering a Lenten sale of up to 50% off. Check them out and if you have used them, please let me know your thoughts. Back in 2014 I spent a week visiting southern California - specifically Los Angeles down to San Diego. As part of my journey, I visited several missions including the Mission Basilica of San Diego de Alcala and Mission San Juan Capistrano. Flash forward to early 2017. 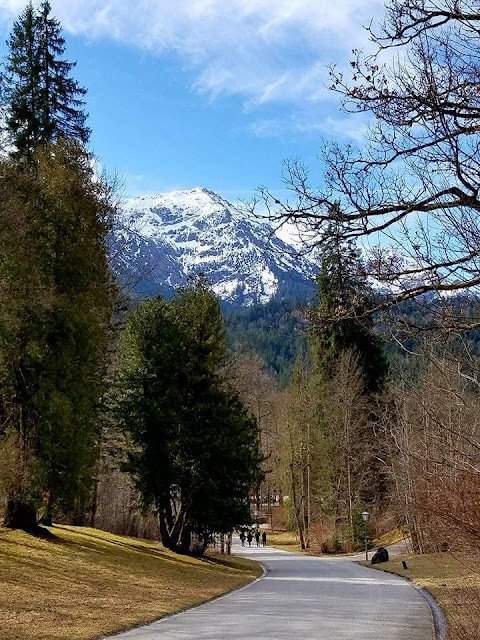 I was contacted by Pete Socks in January with an opportunity to review one of Franciscan Media's newest books entitled Saint Junipero Serra's Camino by Stephen Binz. As someone went on a pilgrimage to Rome last year, I jumped at the chance. I found travel guide books very helpful in making the most out of pilgrimage in Rome, and I was excited to see how a guidebook would help in promoting the Catholicity of the California missions. I was excited to have the chance to read Stephen Binz's book for myself. And the result? I wish I had this book back in 2014 when I first went to California. In fact, I have not seen a book that so appropriately and usefully summarizes the missions. This book importantly goes further than merely presenting the facts as to what is in each mission. The book highlights the history of the missions and includes relevant prayers, litanies, and Scripture readings in each chapter, thus making this an ideal companion for those on pilgrimage in Southern California. The book is easy to read, spiritually uplifting, and conveniently fits in your travel bag. As a result, I'm happy to recommend this book to all. 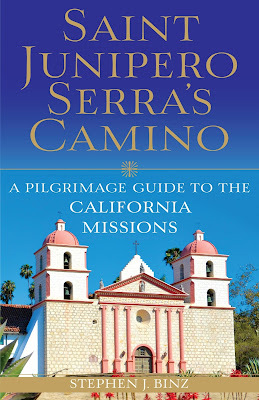 To learn more, please check out Saint Junipero Serra's Camino by Stephen Binz on Amazon.com. St. Junipero Serra, pray for us and for the Church! Did you know that the Month of March is dedicated to St. Joseph? Originally composed by St. Alphonsus Liguori, the text in this booklet was adapted by Hugh J. O'Connell, C.SS.R. Printed with an Imprimatur in 1962, it is now difficult to find. The text was recently arranged as a pdf download, ready to print at home for family devotions. The booklet is composed of 31 short but fervent devotions to St. Joseph, arranged for each day in the month. Every line bears testimony to the respect, confidence, and love which St. Alphonsus felt for the foster father of Jesus.